This post is a little different to my usual content but it's Christmas! And having the ability to enjoy something like this, is just a testament of my recovery. 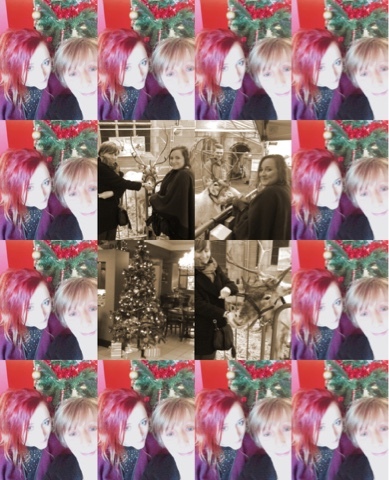 On November 28th, I went along to a nearby coastal town called Whitley Bay with my Mum to meet some reindeers! My Mum had taken me to meet some back in 2011 and to be honest, before then... Well I'd thought that reindeer didn't actually exist! I soon found out that they are real but the imaginary part, is that they don't fly. Back in 2011, it was bang in the middle of the really bad years, as far as my mental health was concerned, and so I didn't really appreciate the experience or make the most of it. But this year, Mum and I were on our way there and I was asking all these questions about where you actually get reindeers from and things. So then when we got there, I decided to ask the team who'd brought the reindeers and were looking after them, and it was so interesting! The reindeers there are called Caribou and are the same species as Reindeers except that they are separated by continents. In the wild, reindeers lose their teeth and as a result, are unable to eat, which causes their inevitable death. In captivity, however, (and contrary to popular belief and precedent) their life span is lengthened because their carers are able to provide them with the relevant vitamins and minerals etc to main aim their dental hygiene, so that in captivity, the reindeer are most likely to die from old age. And in terms of their healthcare, they see a vet specialising in large animals. This was just the information gleaned from my questions but there is so much more information in the leaflets that were available. 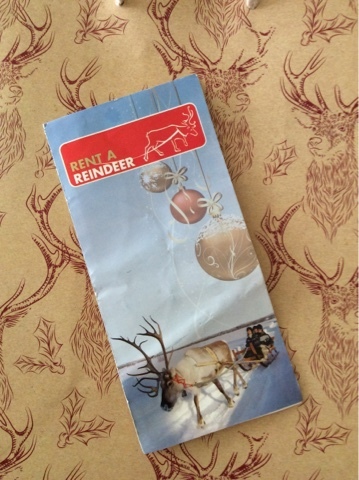 For more info you can go to their website: www.rentareindeer.co.uk.